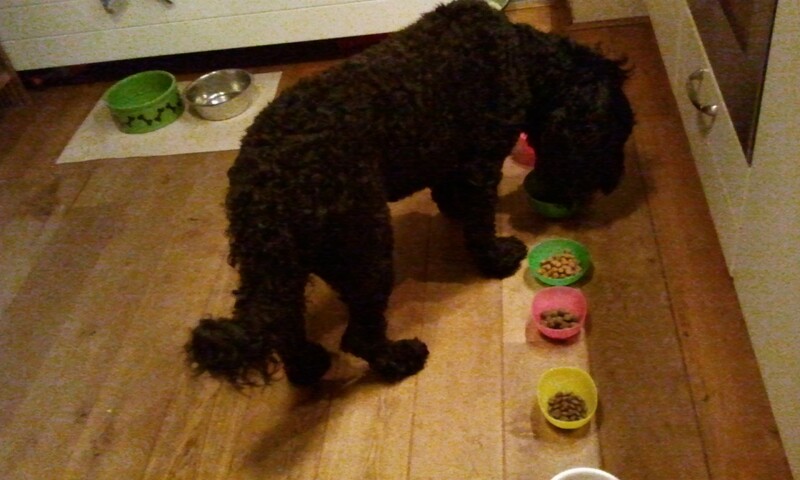 I want my dogs to eat very good dog food. I change the brands now and then; they get tired of the same taste every day. Periodically they eat fresh raw meat compounds (frozen) and sometimes dry food. So far I have preferred Orijen and James Wellbeloved for dry food. Again it was time to find something new. I look for grain free food with natural ingredients and high percentage of meat/fish. After some investigation on the Internet (and a tip from Gert - thanks!) 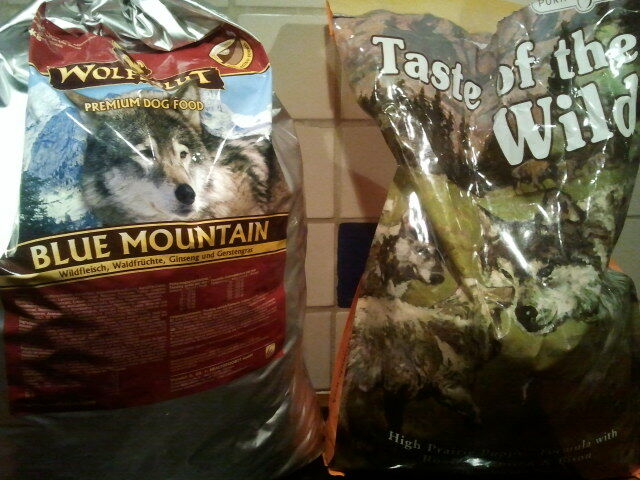 the choice fell on Wolvesblut (German) and Taste of the Wild (American). 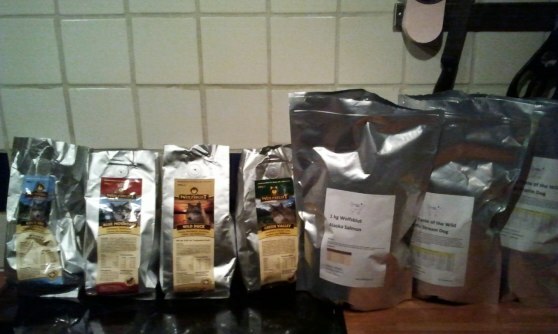 I ordered some test packages to see which tastes the dogs liked the most. I placed seven bowls on the floor at three different occasions. Their preferences were quite clear. Yatzie preferred the Wolfsblut Blue Mountain and Moët Taste of the Wild High Prairie. Today two large packages arrived at the door!